Slugs are soil-dwelling creatures closely related to snails, clams, and other members of the phylum Mollusca. 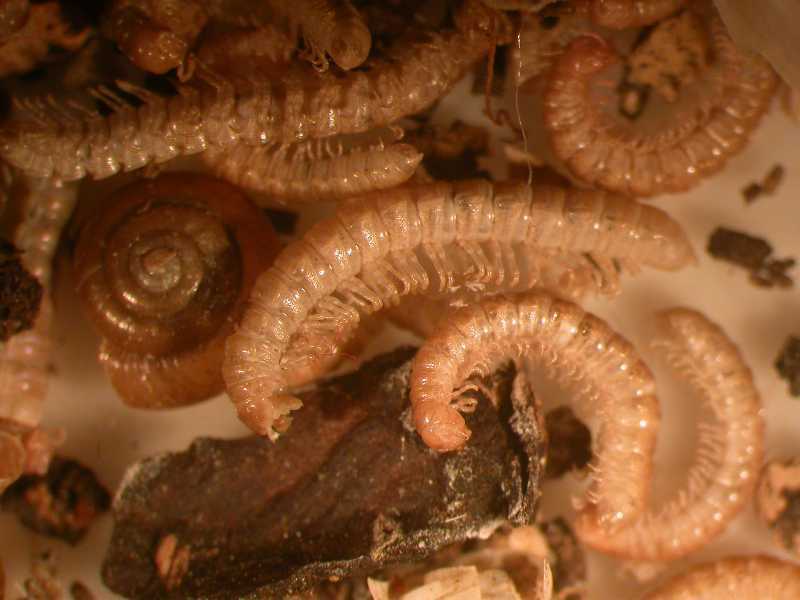 They are not insects, but they do feed on a wide variety of ornamentals and vegetables. 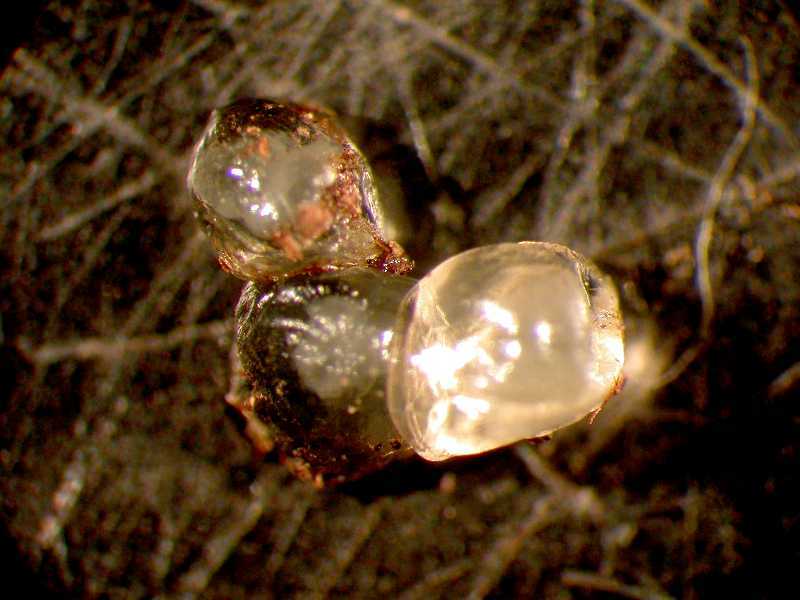 The succulent tissues of young seedlings and bulbs are especially susceptible to slug damage. 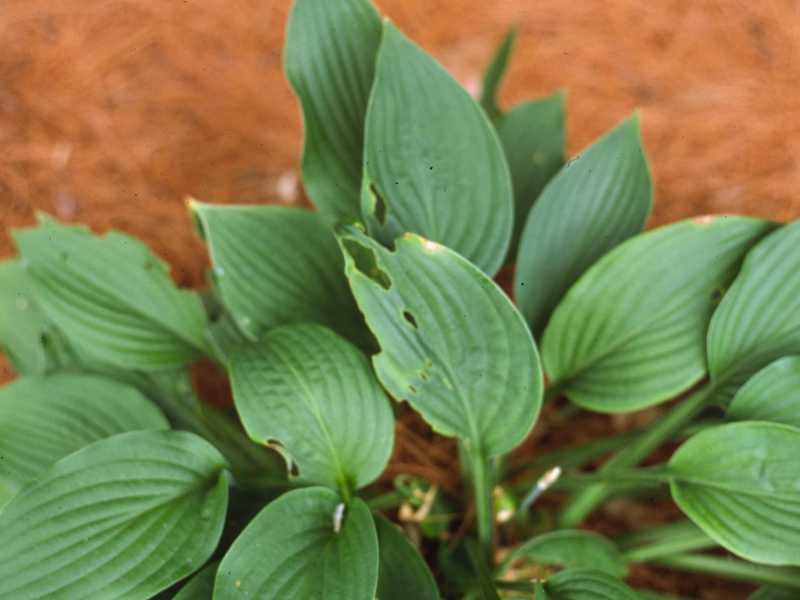 Groundcovers and hostas found in moist, shady areas of the garden are also slug favorites. 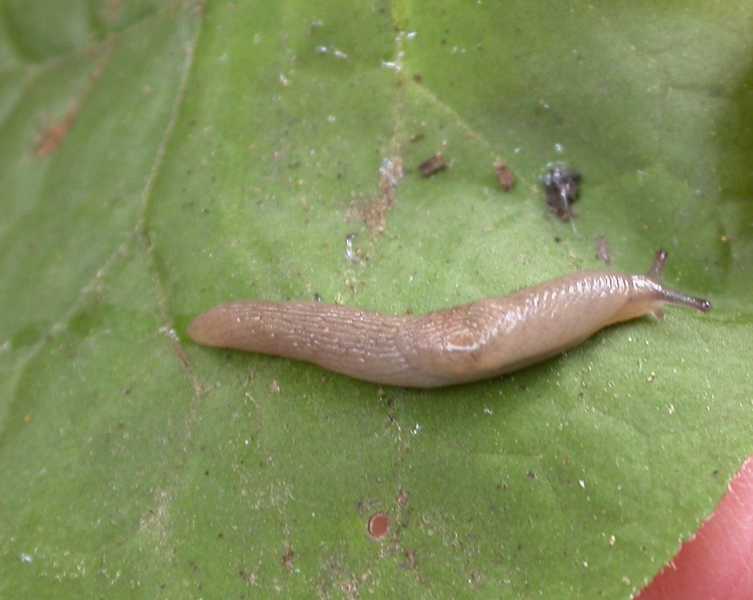 Slugs have rasping mouth parts and produce holes in leaves, stems, flowers, and fruits. 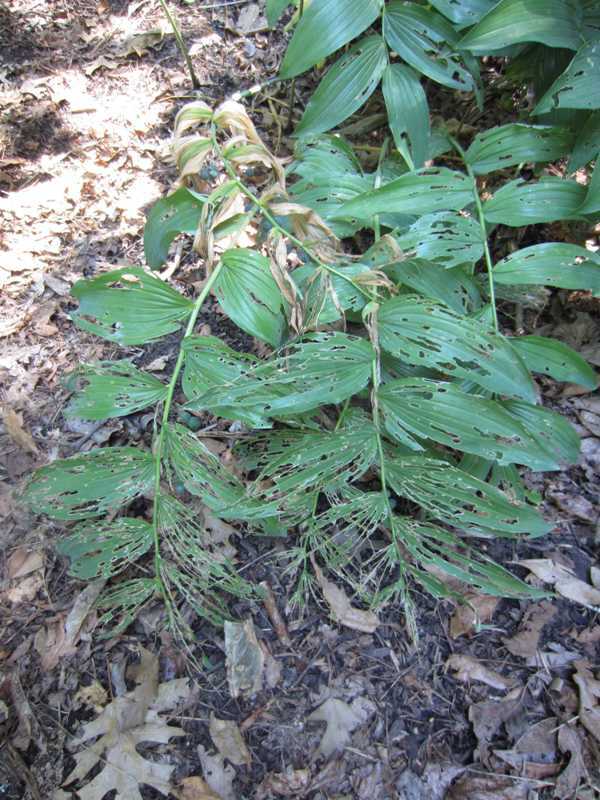 Sometimes, whole leaves may be sheared off by slugs. 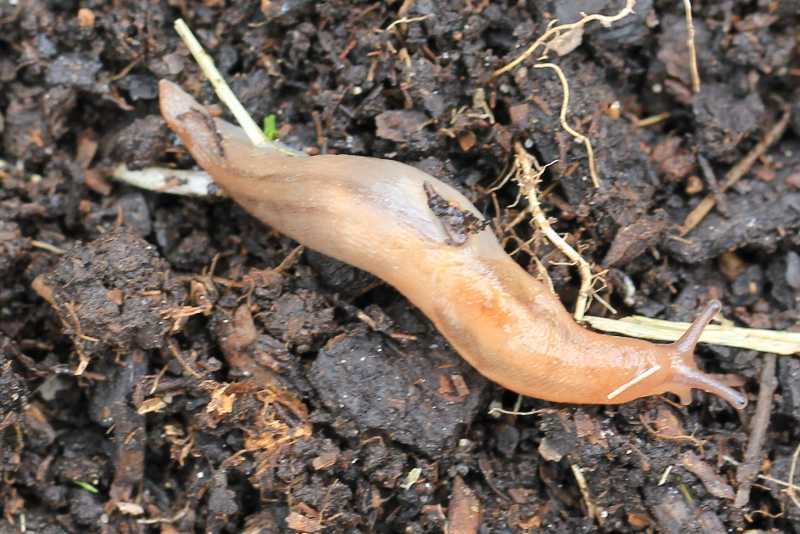 Because slugs are soft-bodied and require cool, moist conditions to survive, they avoid the sun during the day and hide under leaves, rocks, boards, and overturned pots in the garden. They are nocturnal and can be found feeding on plants at night or in the early morning. 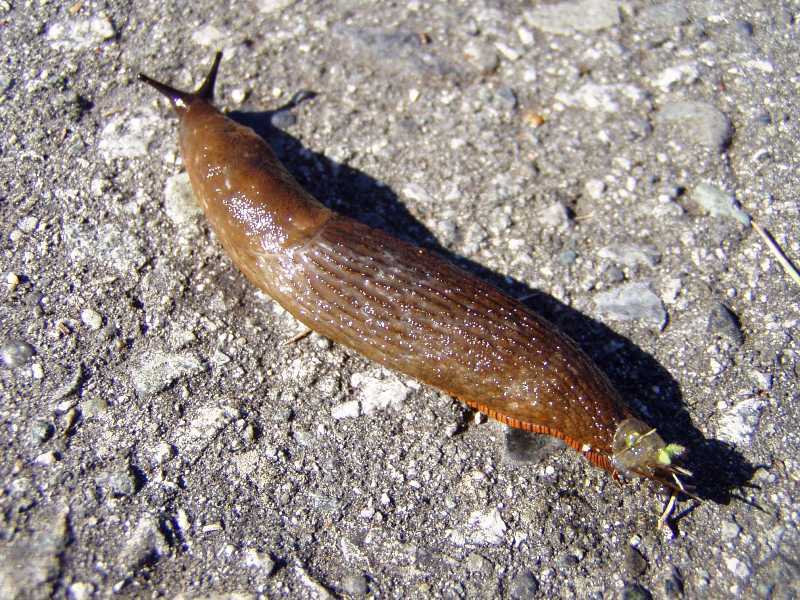 Slugs have soft bodies that are commonly gray, black, or brown in color. They range from 1/2 to 3 inches in length. They have a soft bump in the center of their bodies and eyes at the tips of their small tentacles. 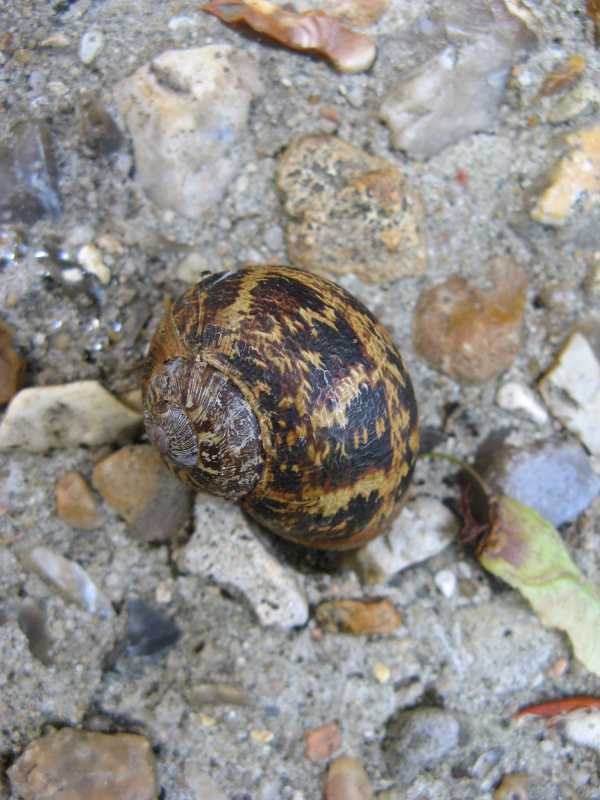 Most slug species overwinter in the soil as eggs. The eggs hatch in spring and the young begin to feed. The young look like the adult and increase in size as the summer progresses. In the fall, eggs are laid in the ground in protected locations. 1. Handpick slugs. 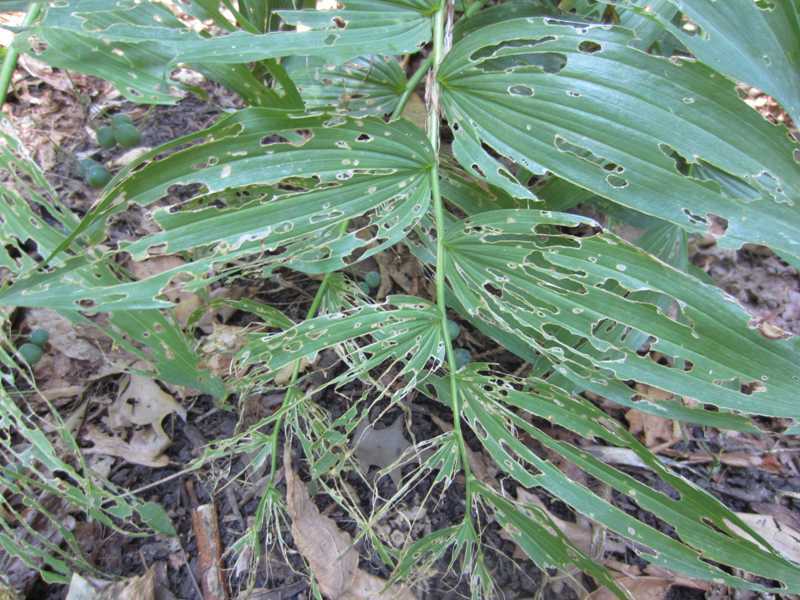 In the evening or early morning, handpick slugs from plants that are being attacked. 2. Use traps. 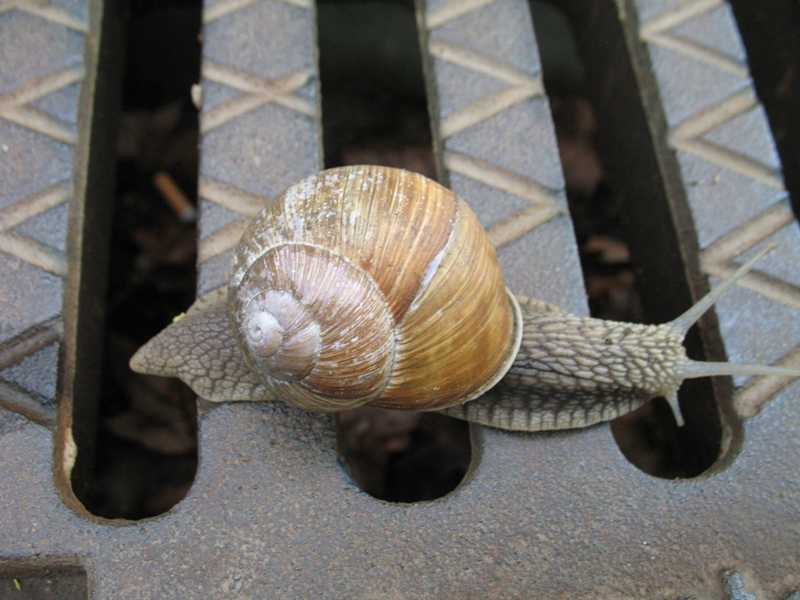 Boards placed on the ground around plants act as collection sites for slugs. 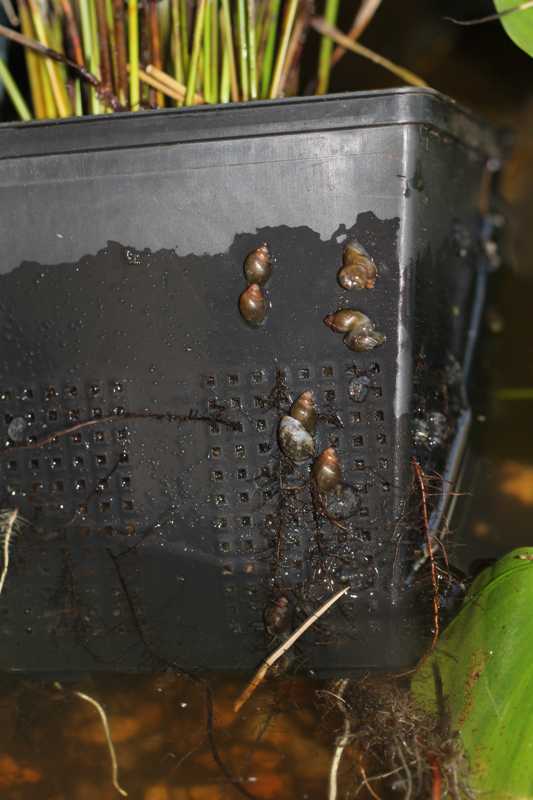 At midday, collect and dispose of the slugs which are escaping the mid-day sun on the undersides of the boards. Shallow pans of beer will also attract slugs. Sink the pans into the ground so the lip is at ground level. Empty the pans at least twice a week. 3. Use 5-inch grit barrier; such as, diatomaceous earth, sharp or builder's sand, ground gritty nut hulls, or ground egg shells. Diatomaceous earth, sold as Perma-Guard, is made from the ground skeletons of small fossilized plants. 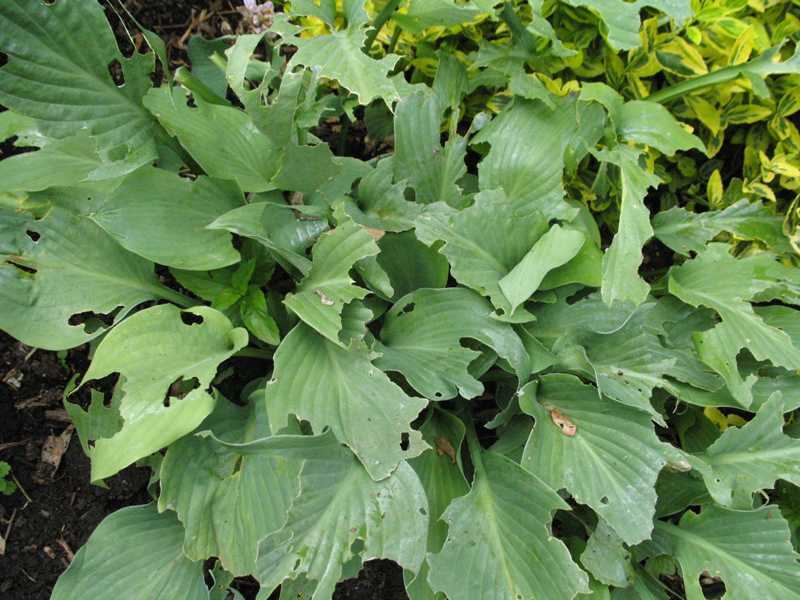 It has many sharp edges that lacerate the bodies of slugs, causing them to dehydrate and die. Diatomaceous earth is nontoxic, but wear a particle mask to avoid inhaling the dust. 4. Use a copper strip barrier. Copper strips or copper wire placed around the base of plants or pots is an effective barrier or deterrent to slugs. 5. Use chemical pesticides. 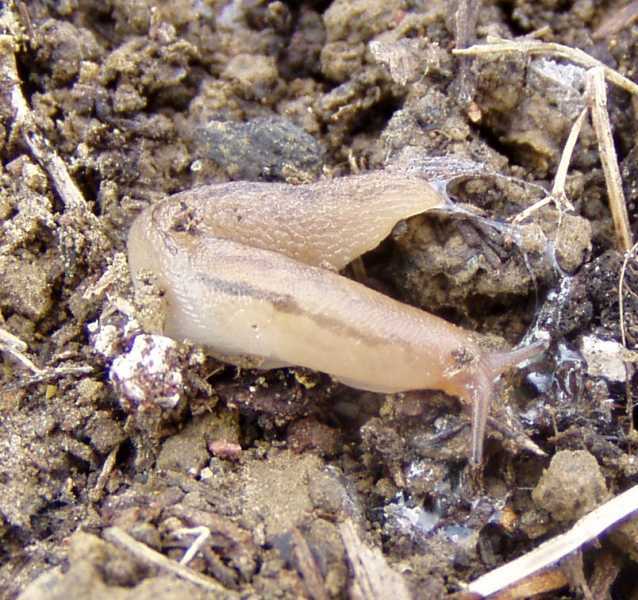 Granules or baits containing metaldehyde are effective in controlling slugs but need to be used with caution. They cannot be used on vegetables and should not be used where children or pets may pick them up or eat them. Placing the bait in a partially flattened tin can will limit the access children and pets have to the bait. A less toxic alternative to metaldehyde is products containing iron phosphate such as Sluggo® that can be used safely around pets and wildlife and is labeled for use in vegetable gardens. 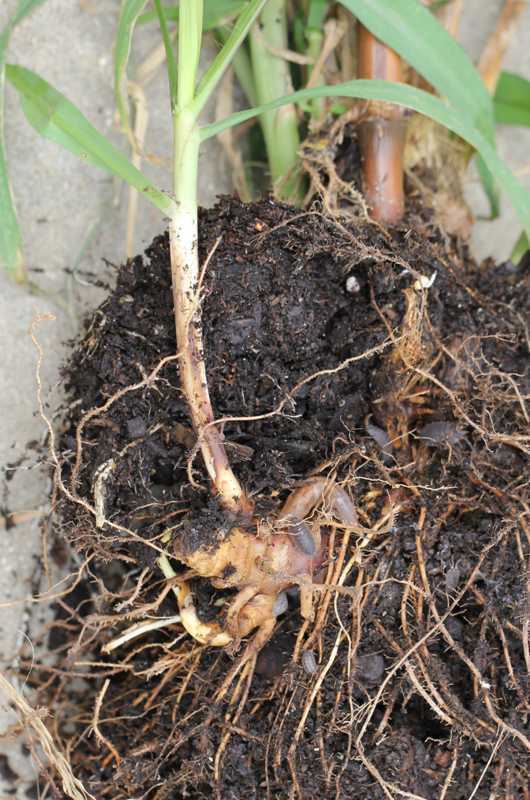 An air pocket in the soil allowed slugs to eat the roots of this fountain grass (Pennisetum); when replanted without the air pocket, the plant recovered completely.